In Ghana, the digitalisation of the economy is changing the relationship between employers and employees, consumers and companies, the government and its citizens. New digital systems are aimed at increasing productivity, encouraging accountability, boosting creativity and promoting transparency. In September 2017, the Ghanaian Government set the wheels in motion for a new electronic identification (e-ID) project that would provide a smart biometric national identity card to every citizen in the country. The first of these Ghana Cards, as they’re known, was issued to President Nana Addo Dankwa Akufo-Addo. For many people and institutions, change is difficult. Often, industry leaders would rather do something manually or in the way they’re used to. But technological advancements have already begun to change the way consumers think, make purchases and interact with businesses. 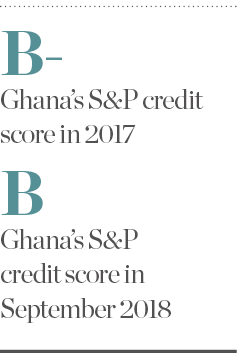 Digitalisation has the potential to transform Ghana and offer countless benefits – starting with the Ghana Card. 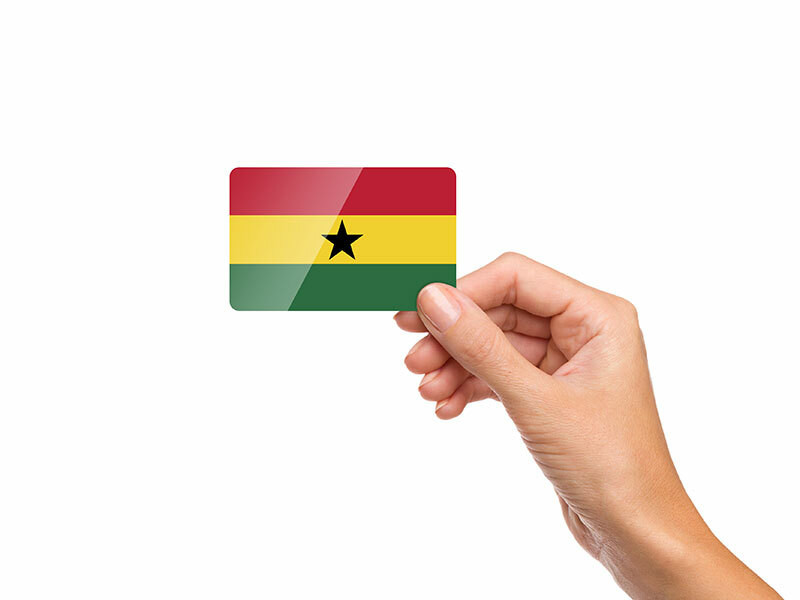 The national registration and issuance of e-ID cards to all Ghanaians began on May 28, 2018. The project is run through a public-private partnership between Ghana’s National Identification Authority and subsidiaries of Margins ID Group, Intelligent Card Production Systems (ICPS) and Identity Management Systems (IMS). Ghana Cards were first issued to citizens in the security sector, the judicial service, Jubilee House (the presidential palace) and parliament, as well as to several key influencers in society, including three former presidents. The government is now looking to extend issuance to financial and educational institutions, before presenting all citizens in the Greater Accra Region with Ghana Cards. The e-ID cards will then be systematically issued to the rest of the country, region by region, before being given to Ghanaians living outside the country. The new electronic national identification system is expected to have numerous benefits. First, the Ghana Card platform will create a register of all Ghanaians and permanent residents. This will ensure that all current identification platforms – including the passport system, electoral register and health insurance scheme – are synchronised and up to date. This will help the government confirm that people are who they claim to be. Additionally, the government and the people of Ghana will be able to strengthen the foundations of democracy, boost economic and social inclusion and improve national security by providing a credible and accountable register for the identification of all citizens and residents in the country. Citizens aged 15 and over will be given an e-passport and a digital certificate to increase access to e-government and e-commerce services. The movement towards a digitalised identification system is expected to spur economic growth through the effective use of data for economic planning. Already, the project has created new jobs and provided a boost to the Ghanaian economy, which is one of the government’s main priorities. Despite Ghana’s growing economic success, the slow rate of infrastructure growth in economies across Africa is hindering ongoing digitalisation projects. Margins Group, alongside the Ghana Card project, has reacted to the growing need for digitalisation by building the necessary infrastructure itself. Such e-service platforms are making digital transactions simpler and faster, easing contact between consumers and suppliers, helping to formalise the economy, and removing barriers to entry. In a digital economy, people are paying for more than just goods and services: they are paying for trust, peace of mind, convenience and accessibility. Margins Group’s infrastructure enables the formation of a simple, legitimate, transparent and effective e-governance system. Margins Group has considerable experience in creating devices and applications that enable secure identification, authentication and transactions. Its manufacturing arm, ICPS, was set up in 2004 as a free-zone company and a wholly owned subsidiary of the Margins Group. It now runs a certified card manufacturing facility with a production capacity of more than 100 million cards per year. The ICPS facility was built to meet multiple international certifications, and Margins Group has since produced secure cards for an array of clients in sectors such as banking, telecommunications and education. For the e-ID system, Margins Group worked on planning, developing and delivering complex integrated solutions and projects. The group designed, built and financed the project through its subsidiary IMS. ICPS and IMS are responsible for everything from the design of infrastructure to field support, maintenance of systems and the production of 16 million dual interface smartcards. Having maintained strong international partnerships over the years, Margins Group gained the expertise of numerous companies by using them as subcontractors on the e-ID project. Among these were German cryptography firm Cryptovision, US security technology provider Entrust Datacard and Dutch semiconductor manufacturer NXP Semiconductors. Margins Group’s long-term company goals are embedded in its vision, which states that it aims to be “a global leader in secure identification, documentation, data systems, transactions and solutions”. Through the products the company develops and the services it provides, Margins Group’s short and medium-term goals include promoting social and financial inclusion, using big data for planning purposes and creating infrastructure based on verifiable identification. Importantly, it also aims to replicate its digitalisation success story across Africa. Margins Group is at the crux of Ghana’s transition into the digital age, and it is our mission to ensure the seamless integration of data across all agencies and institutions to give all citizens access to government services.